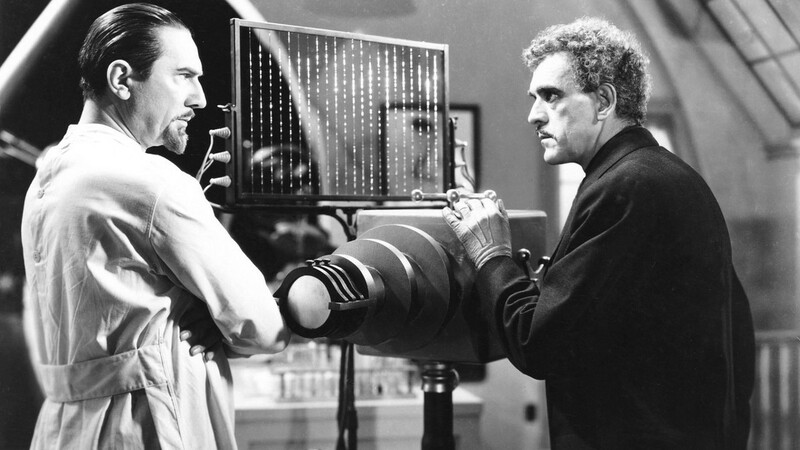 A curly-haired Karloff stars as Dr. Janos Rukh, awaiting the arrival of a group of his fellow scientists for a demonstration of his Invisible Ray as a storm rages outside. Rukh’s wife Diana and blind Mother Rukh greet them: Sir Francis Stevens and his wife Lady Arabella, French astro-chemist Dr. Felix Benet, and Lady Arabella’s nephew Ronald Drake, who’s along for the ride. Rukh brings them to his planetarium/lab, where his ray scans the Andromeda Galaxy to reveal Earth’s history from millions of years past. They witness a meteor crashing into the African continent bearing the powerful but deadly new element known only as ‘Radium X’. The group commissions an expedition to the Dark Continent, and Rukh separates rom the rest to search for the meteor’s location. Finding it, he’s hoisted down into a crater and extracts ‘Radium X’: “More power than any man has ever known”. But there’s a side effect: Rukh begins to glow in the dark (I’ve always imagined it as a ghastly green like the old Aurora Monster “Glow in the Dark” models!) 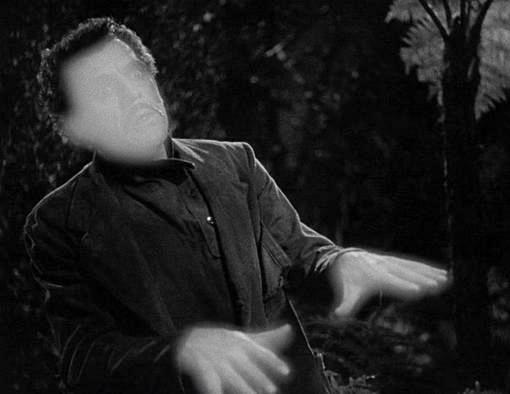 and his touch brings death! Seeking help from Benet, Rukh is told the element has poisoned him, and may affect his mind. Benet comes up with an antidote to counteract ‘Radium X’s’ effects, but warns Rukh he’ll never be completely cured. 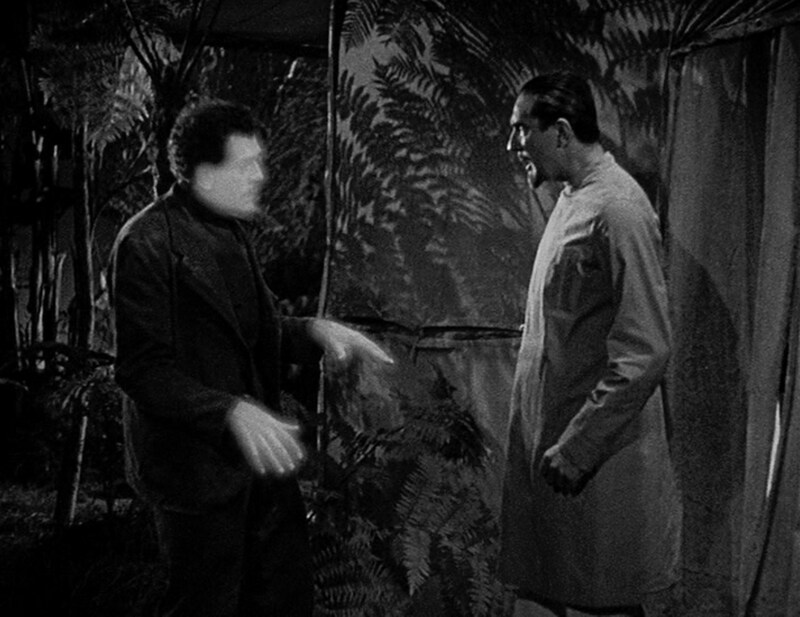 You can ignore the scientific mumbo-jumbo in John Colton’s script and just enjoy an over-the-top Karloff as the crazed Rukh. Boris lets loose and has a ball with the part, and Bela seems to be enjoying himself too in a fairly straight role as Benet. 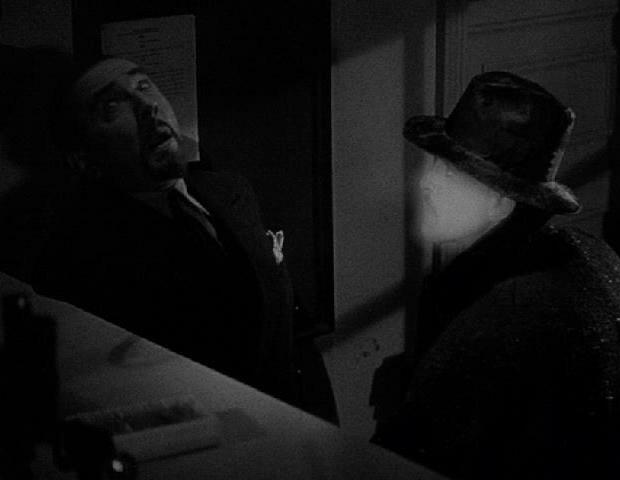 Frances Drake (MAD LOVE ) does fine as Diana, but I find Frank Lawton (THE DEVIL DOLL ) a bit on the boring side as Ronald. 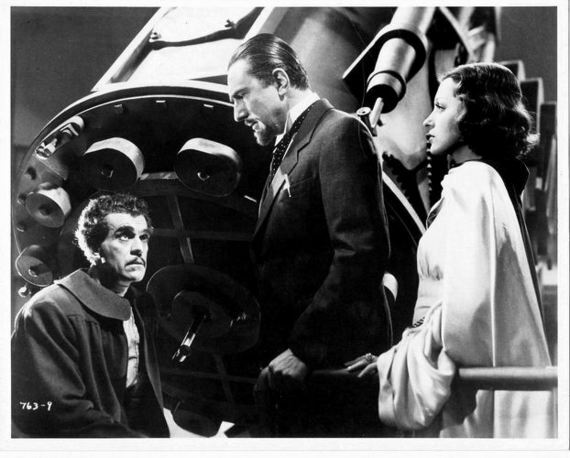 Walter Kingsford and Beulah Bondi are good as the Stevens’, Violet Kemble Cooper a standout as Mother Rukh, and KING KONG’s Frank Reicher has a small part as one of Karloff’s victims. There’s a third star in this show: John P. Fulton’s amazing special effects. And Boris’s lab is full of electronic gadgetry that must be the work of an uncredited Kenneth Strickfaden. Franz Waxman’s score is as underrated as the film itself. Director Lambert Hillyer does yeoman’s work keeping things moving – he’d move on to the next Universal Horror, as we’ll find out tomorrow. 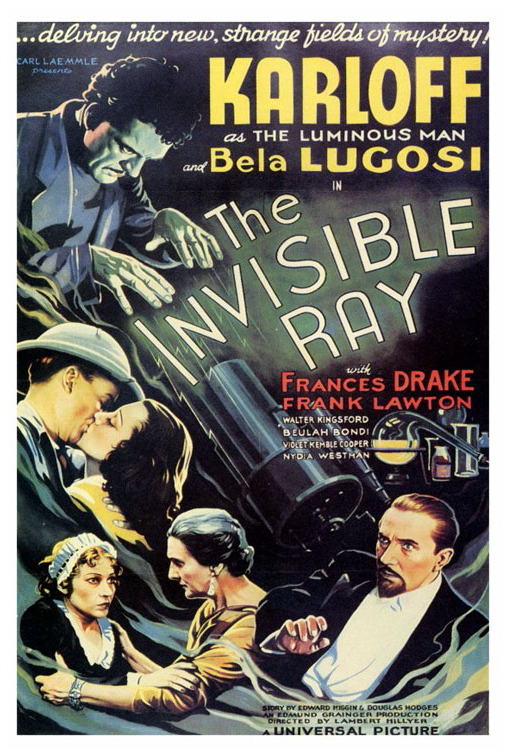 As for now, I’m recommending those who love these old school horror movies and haven’t seen THE INVISIBLE RAY do so ASAP – Boris and Bela never fail to deliver the chills!